Whether you are a New Zealander coming back home after a spot abroad, or an Australian emigrating to the most beautiful place on earth, shipping your car will be one of the many things you will have to organise. Although it may seem complicated, importing a car to New Zealand is actually quite straightforward with the right preparation and the right shipping company. Being a start-up isn’t necessarily a bad thing, but international shipping requires in-depth knowledge of stringent country-specific regulations, so an established business is more likely to have polished processes in place to deal with them, and to do so competently. Their longevity will also be a sign that they know what they are doing, as there is little room for mistake in that industry. Make sure that the company you are thinking of hiring has specific expertise in shipping from Australia to New Zealand and vice versa, and will be able to handle Customs clearing smoothly. A reputable freight forwarder will usually belong to their national shipping trade association, and have extended relationships with port authorities, which are invaluable to iron out any problems. Choosing a local company isn’t a requirement, but being able to meet in person can be helpful. When comparing quotes, make sure you understand exactly what is included and isn’t. Shipping is full of acronyms and specialist terms so don’t be afraid to ask questions – how the business responds to your enquiries will also be a good indication of the quality of their customer service. 1. Proof of ownership: you must present the original documents establishing the ownership history of your vehicle, up to the last registered owner in Australia; deregistration or change of ownership papers if applicable, as well as an invoice, receipt, etc… to prove your purchase. 2. Compliance with emissions standards: In Australia, vehicles need to comply with Australian Design Rules (ADR) regarding safety and emissions in order to be allowed on the road, so whether you purchased your vehicle in Australia when you arrived, or imported yours from New Zealand in the first place, it may already be fitted with an ADR plate. If not, you will need to obtain a statement of compliance including emissions standard compliance issued by an approved centre. 3. Frontal impact standards: If your car model was manufactured after 1996, it will have an ADR compliance plate and you need not do anything further. If your vehicle was manufactured between 1994 and 1996 when frontal impact standards were being developed, it may not have and ADR plate, but you can use the New Zealand Transport Agency’s to check whether your car complies. If your vehicle isn’t listed, perhaps because it is 20 years old or more, or is a“special interest” vehicle, you will have to obtain a statement of compliance as evidence.If your car doesn’t meet the standard, you won’t be allowed to bring it into New Zealand. 4. Fuel consumption: New Zealand Transport Agency’s online tool enables you to check your vehicle’s compliance with fuel consumption standards. All you need to do is enter your car’s information to receive your fuel consumption certificate which the entry certifier will need. If your fuel consumption certificate says that your vehicle’s consumption is “unknown”, it will still be acceptable evidence of compliance and will be accepted by the entry certifier. 5. Overall standards: Similarly to the emission standards, if your vehicle was manufactured after 1996, it will have been fitted with an ADR plate, which means that your vehicle will meet New Zealand’s overall safety and mechanical standards. If it wasn’t fitted with an ADR compliance plate, you will need to get a statement of compliance as evidence. For more information, useful links and online tools, please visit New Zealand Transport Agency’s website. a) Time for Spring cleaning: Like other island nations, New Zealand needs to protect its flora and fauna from alien species which could endanger its eco-systems, and this is why the Ministry for Primary Industry (PMI) set very strict bio-security regulations for anything being imported into the country.Vehicles, with their myriad of nooks and crannies, are perfect for collecting and transporting organic materials, explaining why they come under so much scrutiny upon arrival and are inspected so thoroughly before they are released. Your weekly cleaning routine is unlikely to be sufficient so, when organising your car transport to New Zealand, book a professional, extensive cleaning session. When your car arrives in New Zealand, it will be taken to a special transitional facility, provided your shipping company has organised a bio-security inspection permit, and will be checked by a representative of the Ministry for Primary Industry. Should it fail, it will be cleaned again at your expense, and re-inspected before it is allowed on New Zealand’s roads.If your vehicle was shipped in a crate, the latter will also need to be PMI-compliant and it will undergo the same process. b) Preparing your vehicle for transit: To reduce the risk of your car getting damaged, you may want to fold or remove any protruding items such as antennae, roof racks and wing mirrors. Secure convertible tops, sealing seams and holes to protect your car from air and moisture or covering your vehicle with a fitting tarp. The fuel tank should be emptied down to no more than a quarter of its capacity to be allowed to ship and, although it is a relatively short journey, it is always recommended to make sure that your battery is fully charged before departure and that you disconnect unessential items that could discharge it such as the alarm clock to avoid finding a flat battery on arrival! c) Inner cargo: It is possible to send inner cargo with your car, but you should note that it will be cleared separately from your vehicle at Customs, and that this may delay the release of your car. By law, you must provide a list of everything you are shipping to your freight forwarder. Although it may seem time-consuming to draw such a list, it can actually prove very useful, as some items are prohibited, such as perishable products, plants and seeds, corrosive, explosive or flammable items, gas appliances, drugs, etc…, and your shipping company can alert you if you have packed any unauthorised article. Most companies, however, will recommend that you don’t ship any inner cargo for quicker clearance. d) Insurance matters: Should your car get damaged on its journey and you needed to make a claim, you would have to provide supporting evidence. It is therefore a good idea to take pictures of your car from all angles, interior and exterior. Whether your car is a collectible or a no-fuss mean of transport to you, it is nevertheless one of your most precious possessions. To a shipping company, getting it from A to B in the same condition as it was when entrusted to them is their livelihood, and their reputation is on the line, so they will look after it perhaps even more carefully than you would! Most of the time, everything goes smoothly, but problems arise occasionally, and if your vehicle has been damaged in transit, it is better to deal with it as soon as possible, ideally with the driver bringing it back. When your car is delivered to you, inspect it carefully and make a note of any dent or scratch on both copies of the Bill of Lading, your own and the driver’s, and ask him/her to sign them both. Take pictures of the damage too. Along with those you took before departure, they will provide irrefutable evidence and will make it easier to make an insurance claim. 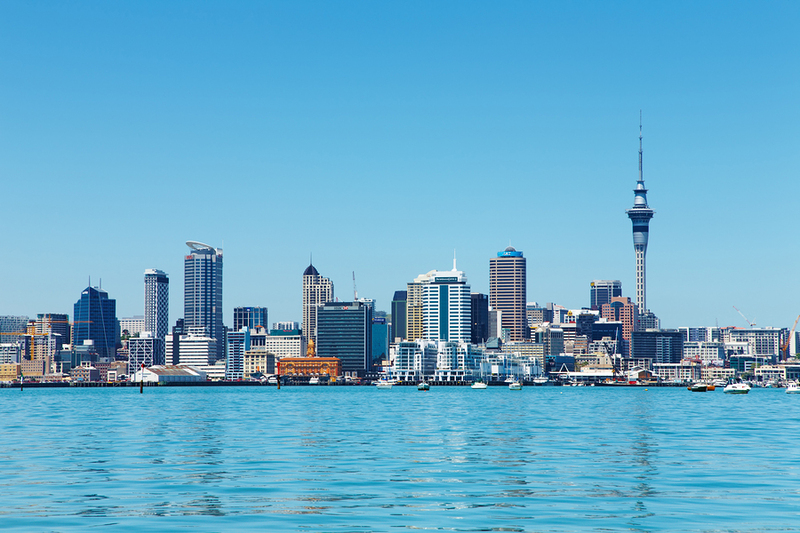 Despite appearances, vehicle shipping to New Zealand isn’t as complex as it seems, although you do need the correct paperwork as well as complying with current regulations. A stitch in time saves nine, so start planning as soon as you can to avoid last-minute complications. Choosing a shipping company which will handle the whole process smoothly will be your most important decision, as they will not only ensure that you have all the necessary documents but also enable you to focus on the other aspects of your relocation, in the knowledge that your car is in good hands.